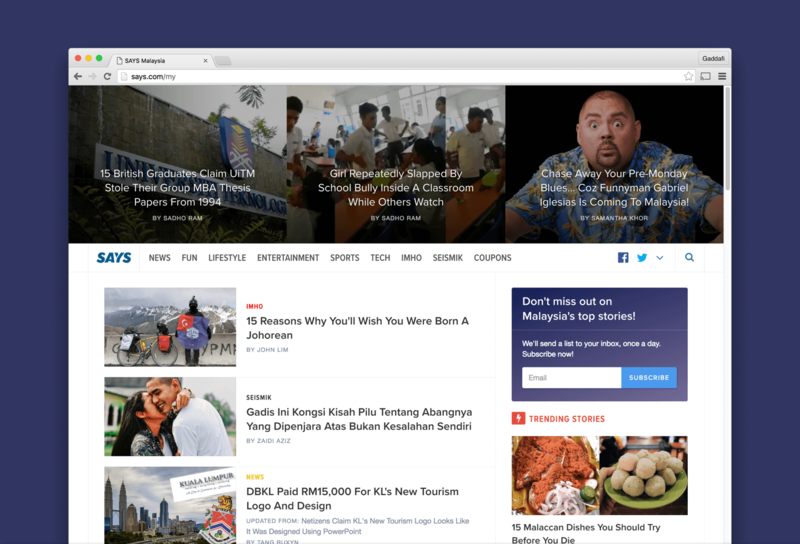 SAYS.com is one of the fastest growing news website in Malaysia. 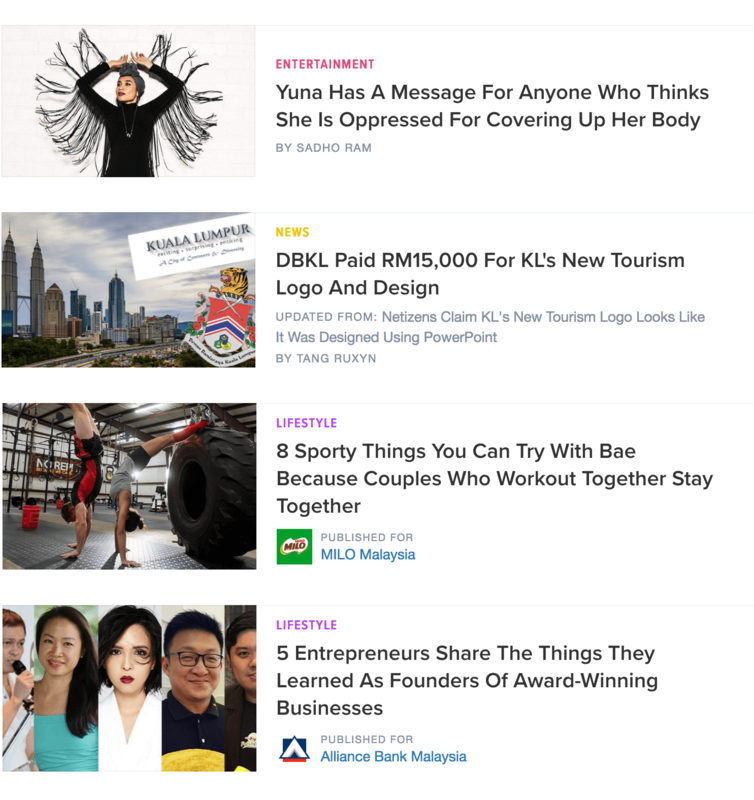 Branded as a "Social News Network", it was originally launched in 2012 with a mission to bring the power of the people into news curation and distribution. Being among the first few people who was involved in the first version of SAYS.com, I was glad to be given another opportunity to work on its 4th major redesign. 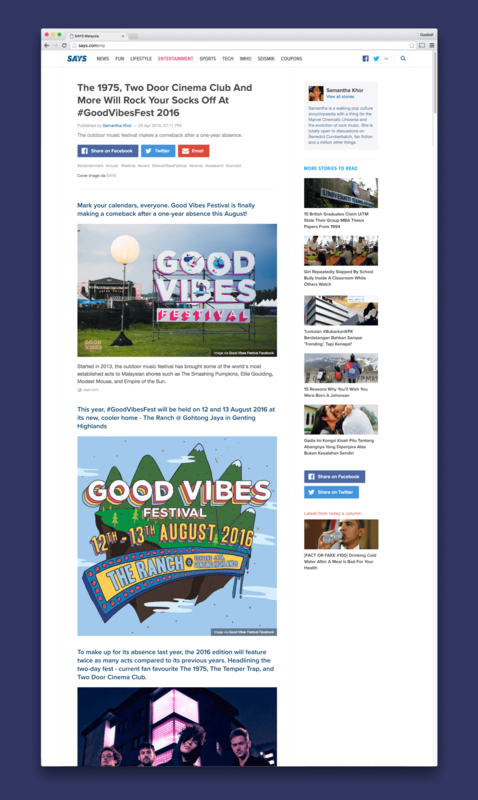 The main objective that we were trying to achieve with this redesign is to make it easier for the visitors to discover content from various categories on the site - especially from the homepage. 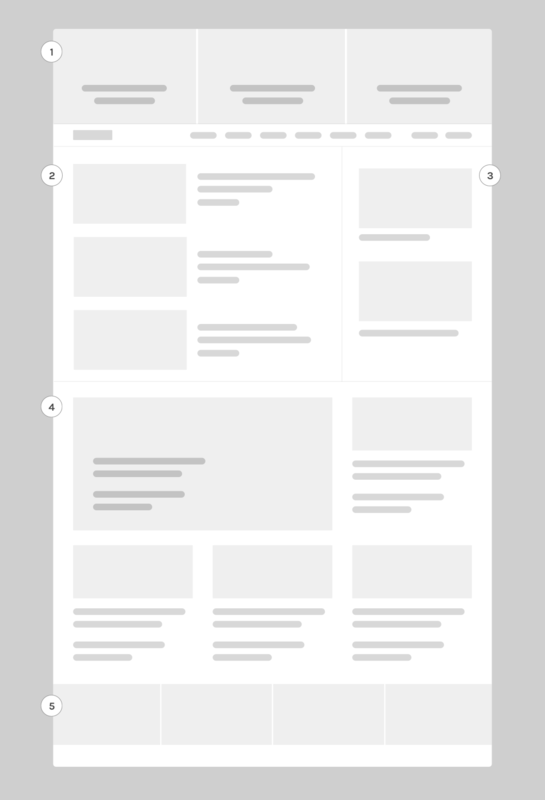 Aside from that, we were also aiming to clean up the interface to be cleaner and less intrusive, as to bring the attention onto the content itself. In the previous version of SAYS, there's only 2 types of list item. The first one is a normal story. The second one is a featured updates - where the author can extend an existing story when there's new progress or findings. This is indicated by "Updated from" label in the list item. Together with the new redesign, we introduced Brand stories, where brands can create their own author profile and push out their own content. This is indicated by their logo and name under the list item - and their own brand profile on the site.